With the end of the semester winding down, I was able to sort another Rotary presentation with the Rotary Club of Brisbane High-Rise. They were chartered on June 4, 1993 with twenty-seven member and now have over fifty active members. They meet at one of the more formal establishments that require a dress code of smart casual or business attire. The breakfast club meets every Thursday morning at the Brisbane Polo Club for a 7:30am start and finish right at 8:30am so members can make it to work on time. Everyone was super friendly and they club is extremely active and very jovial with one another. They have several projects that they are passionate about that include a seven-year and counting partnership with the Albert Park Flexi School (APFS) and host an annual Art Spectacular fundraising event with two other Rotary clubs. The majority of proceeds go to the Rotary Oceania Medical Aid for Children (ROMAC). One of the best things about visiting the different clubs is finding out the various organizations and programs that each club supports. I am able to learn about how each Rotary club assists local and international organizations. They were so kind and told me to drop in anytime and be their guest. I love that about the Rotary world. 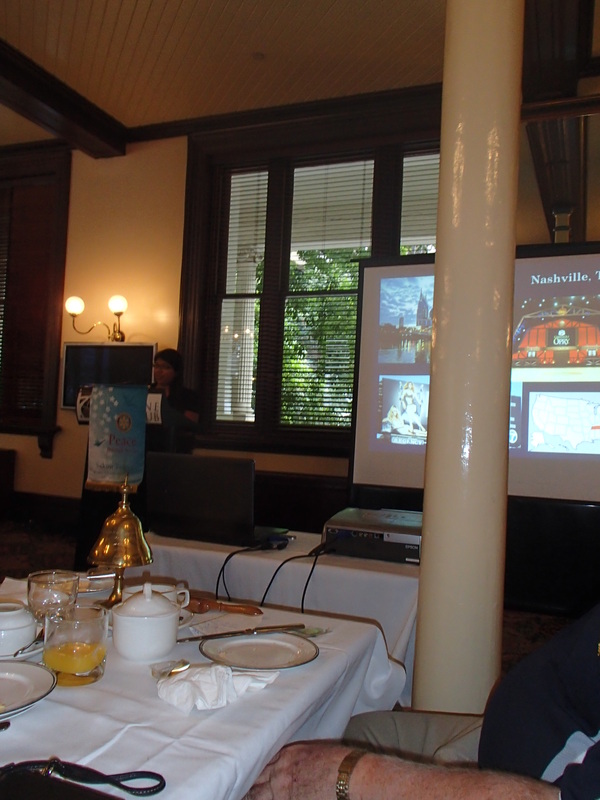 I would encourage you to find a Rotarian friend and be his/her guest at the club meeting. You’ll be able to discover where so much good is happening in the world.